Dear colleagues, the Mumonkan club training season 2014-2015 is over. We would like to briefly sum up its results as well as to share with you what this season has been remarkable for us. Traditionally, the Mumonkan Aikido Club representatives took part in the annual aikido training qualification seminar led by sensei Makoto Ito, the World Centre of Aikido Aikikai Hombu Dojo instructor (6 Dan Aikido Aikikai). 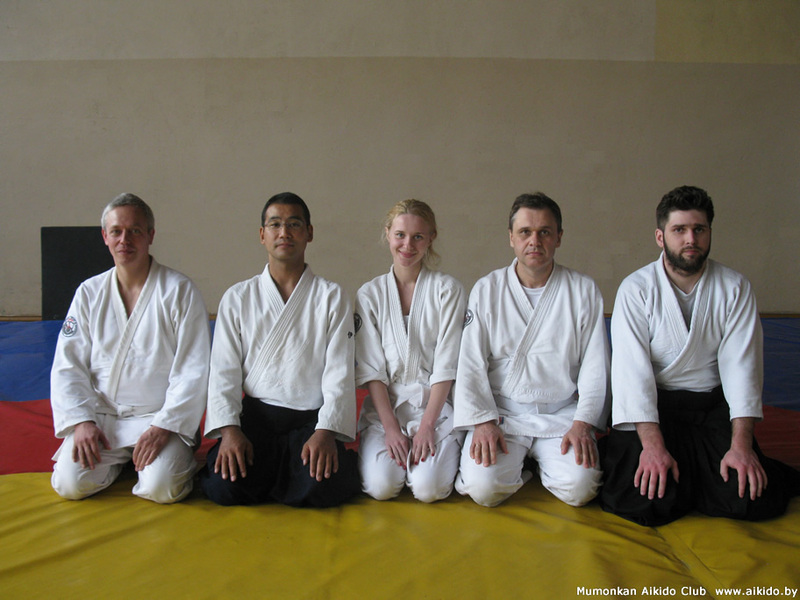 In April 2015 (in the seminar led by Mr. Makoto Ito), three representatives of our club – Alexey Popov, Maria Alexandrova and Sergei Aexandrov – successfully passed a certification exam for the 1 Dan Aikido Aikikai. Our congratulations to them! Last season, 45 of our students successfully passed the qualifying exams for various student degrees (from 6 to 2 Kyu). 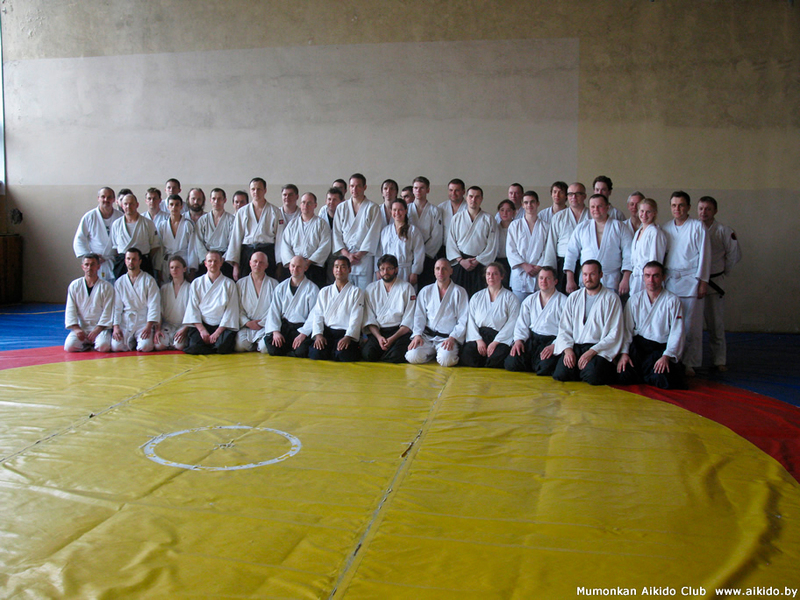 We congratulate all the qualified and wish them health, happiness and success in the Aikido mastering! 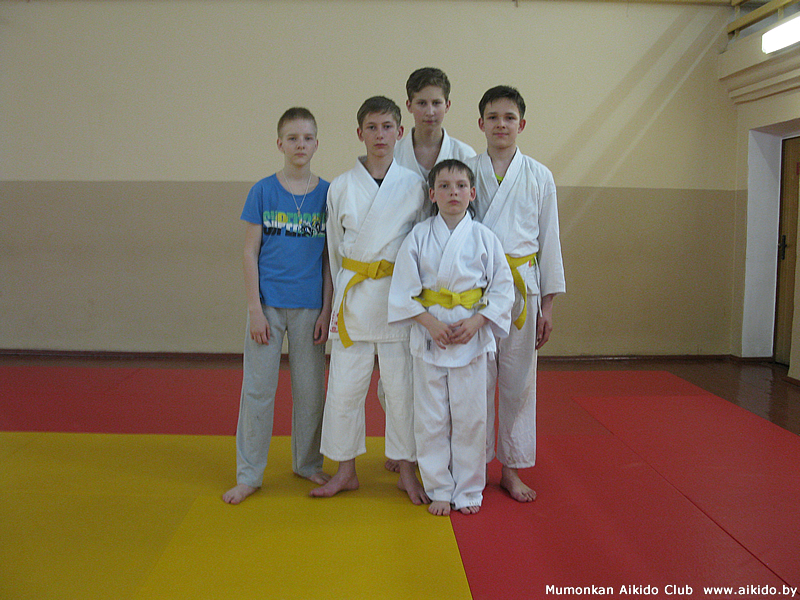 Mr. Vitaliy Goleshev, the head of the Mumonkan club, held two Aikido training seminars in Navapolatsk. One workshop was held in November 2014, the second one in May 2015. A short plot on the November Aikido seminar was aired by the Novopolotsk TV channel. 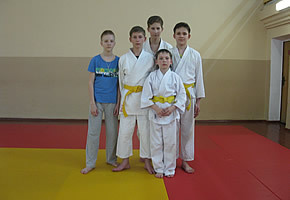 An Aikido group for children started in the Minsk Sports Complex "Uručča". We invite children over 8 years to our Aikido trainings. A medical statement of good health is required. Dear friends, the Mumonkan Aikido Club announces a summer vacation from July 1st, 2015. There will be no trainings during this period. The date of our new training season will be preannounced. Follow the news on our website. We are looking forward to you on the tatami in August! The results of the training season 2013-2014.